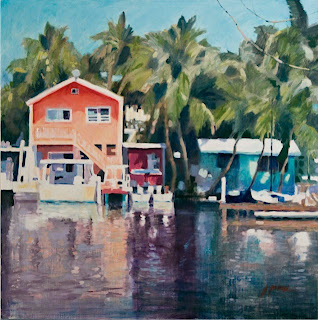 Melbourne, FL—Fifth Avenue Art Gallery member artist Jini James is exhibiting in a solo show for the month of April. James has created all new works in oil from her “endless list” of visual inspirations from the Chesapeake Bay, the American Southwest, Central America, Paris, and Iceland. Her first painting trip was to Honduras, loaded down with a heavy French easel and at least 30 tubes of oils, plus canvases. “The exploration of Mayan ruins in Copan, Central America was a life-changing experience,” says James. “Through art, I realized how cultures survive. It was the artists who recorded Mayan history in stone. I also learned that with each subsequent trip, I packed lighter and lighter until watercolors and mini sketchbooks took the place of the oils, canvases, and an easel. My watercolor studies, along with photographs, translated into oil paintings when I returned to my studio,” says James. In her artistic endeavors and travels, James has received numerous awards and signature memberships in the art world. Her training began in her teens when she studied privately with a well known New York Illustrator and progressed to study at Moore College of Art and The Pennsylvania Academy. Her passion for life-long learning includes workshops, "for that once or twice a year tune-up". "I am a believer in craftsmanship and preserving reality while allowing the viewer to see the painterly strokes that are laid into the piece. These are story paintings." James will discuss her work at the gallery's Second Saturday Art Talk on April 13 at 2 p.m. Thoughts about painting on site as well as creating a good composition will be discussed along with a painting demonstration. Arrive early as seating is limited. 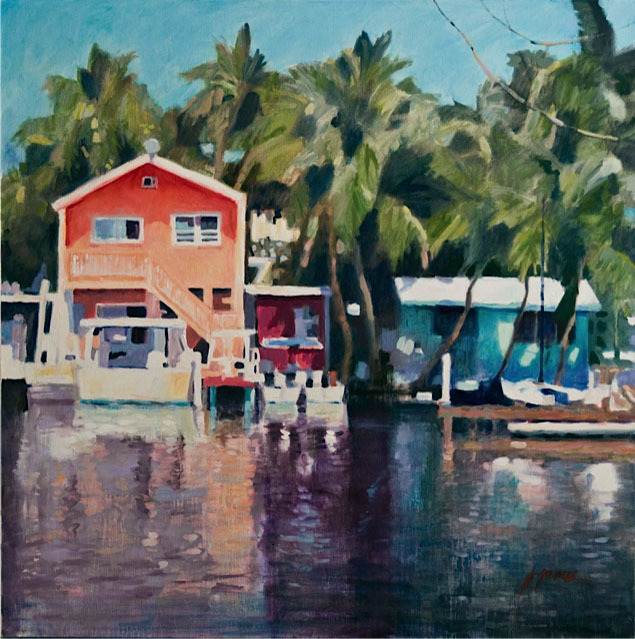 Fifth Avenue Art Gallery islocated at 1470 Highland Avenue in the historic Eau Gallie Arts District.